I hope everyone is having a wonderful Tuesday so far! I was having a little trouble sleeping, so I figured I would catch up on some posts. Might as well be productive, right? 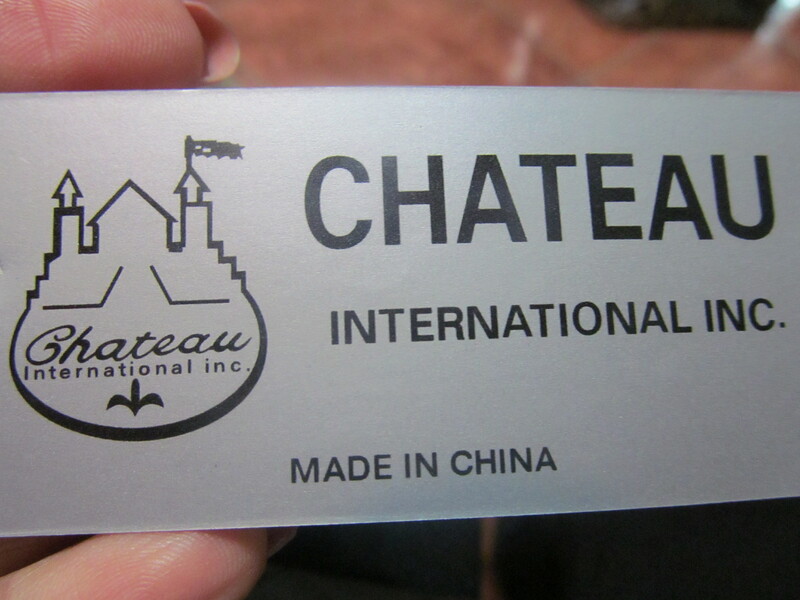 The bag being showcased today is a fold-over shoulder bag by ‘Chateau International Inc.’. I found it at Ross during a recent shopping trip with my mommy. I love how much character it has. This is not your plain old shoulder bag at all. 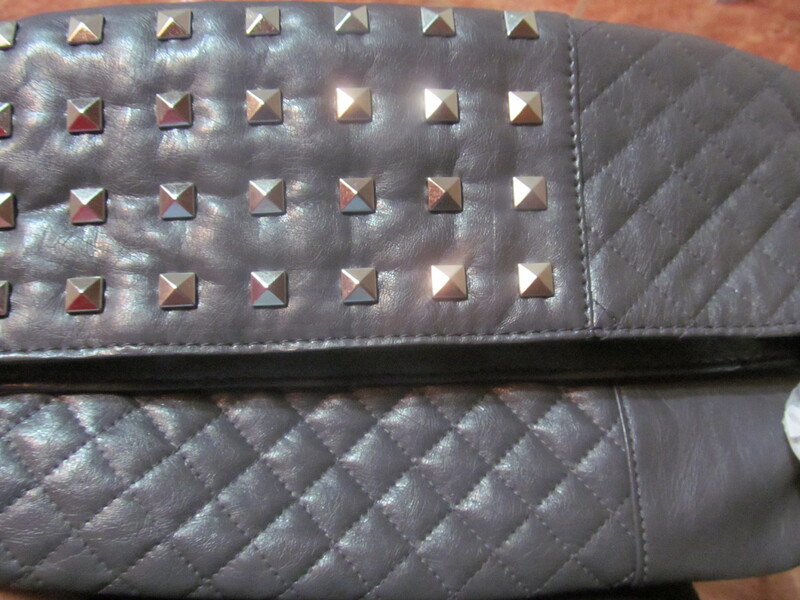 Its a dark grey fold-over style bag as mentioned before, with 2/3 of the fold-over section being studded with silver pyramid studs [I’m sure you all can tell from a few of my previous posts that I LOVE STUDS!!!]. 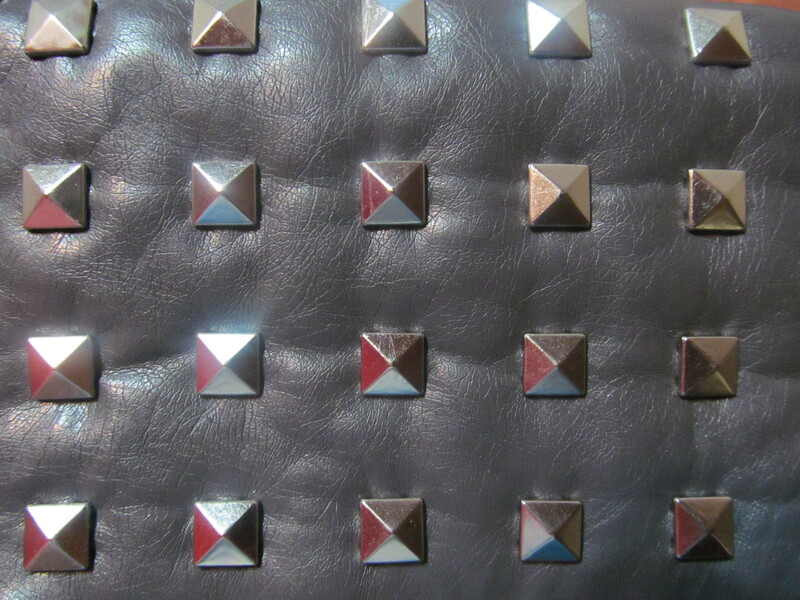 This studding is against a plain faux leather. 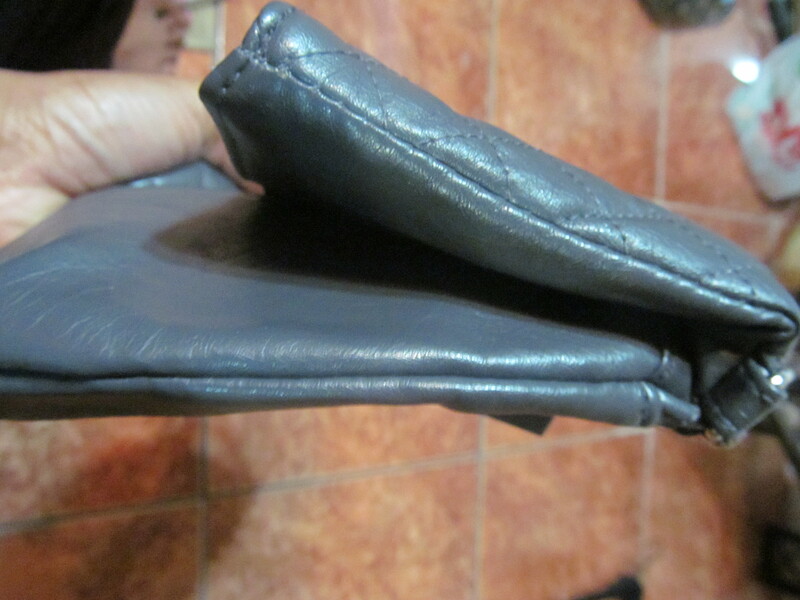 The other 1/3 of the flap however is a bit unique. 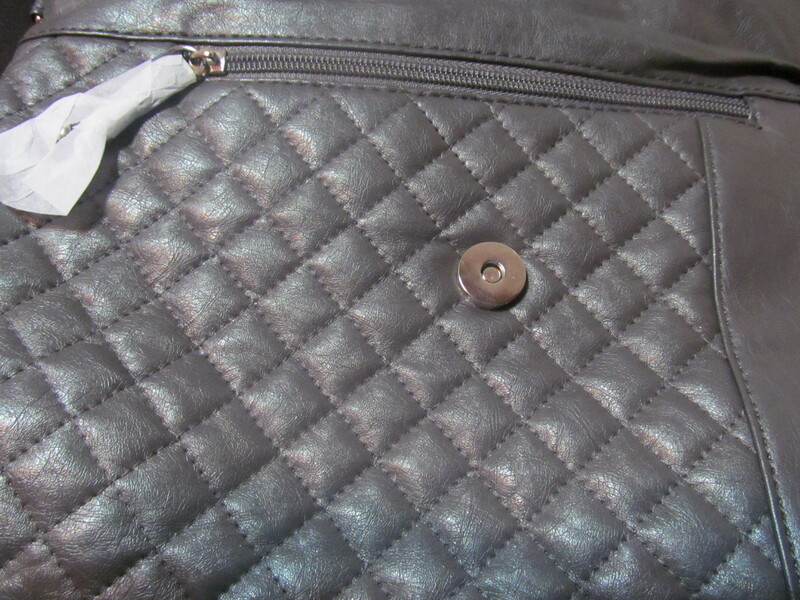 It has a quilted pattern. 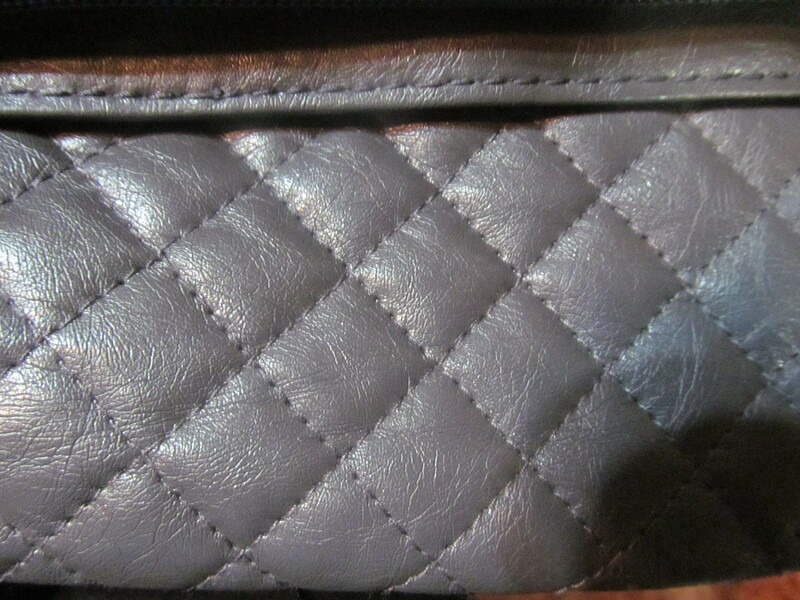 The bottom front half of the purse also has this quilted pattern on 2/3 of it, while the other 1/3 is plain. The back is also plain . 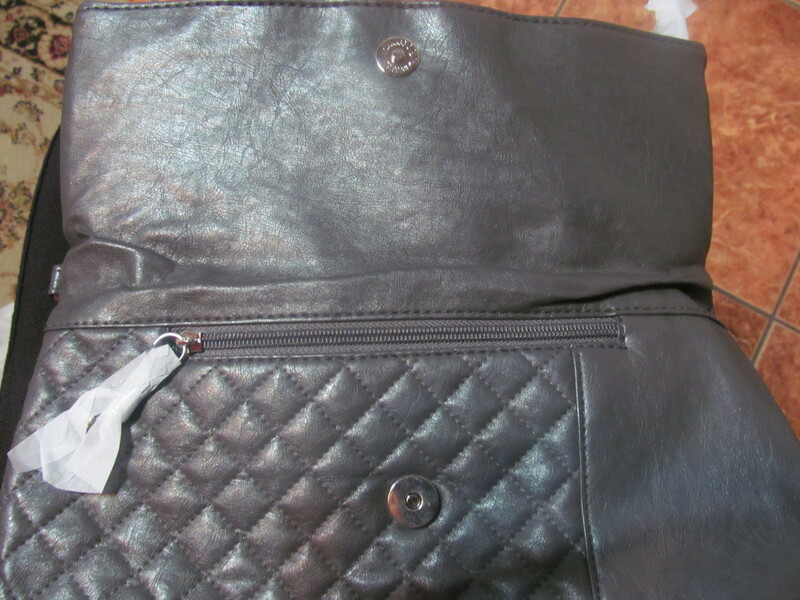 The flap is held in place by a magnetic closure, and when opened, reveals a small zippered section for small items. 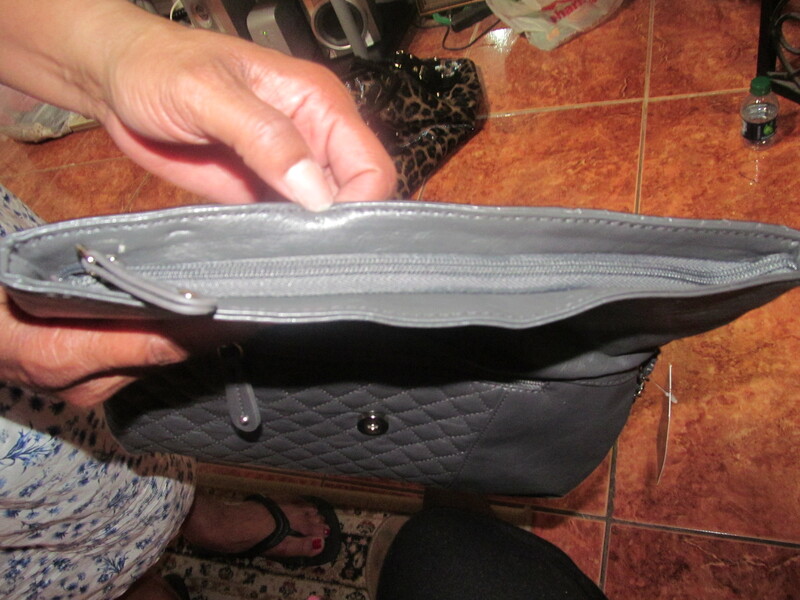 As with most fold-over clutches, the main compartment opens at the top of the purse. 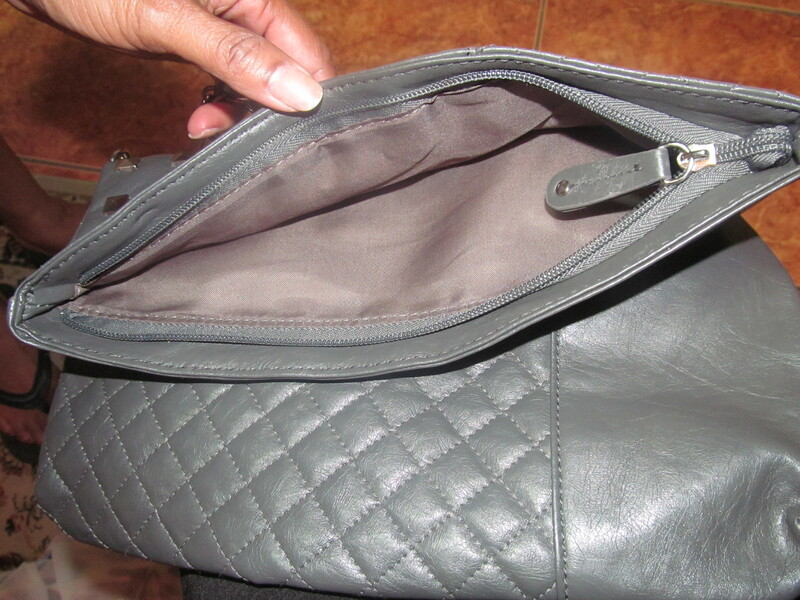 This one is no different, and closes with a zipper. 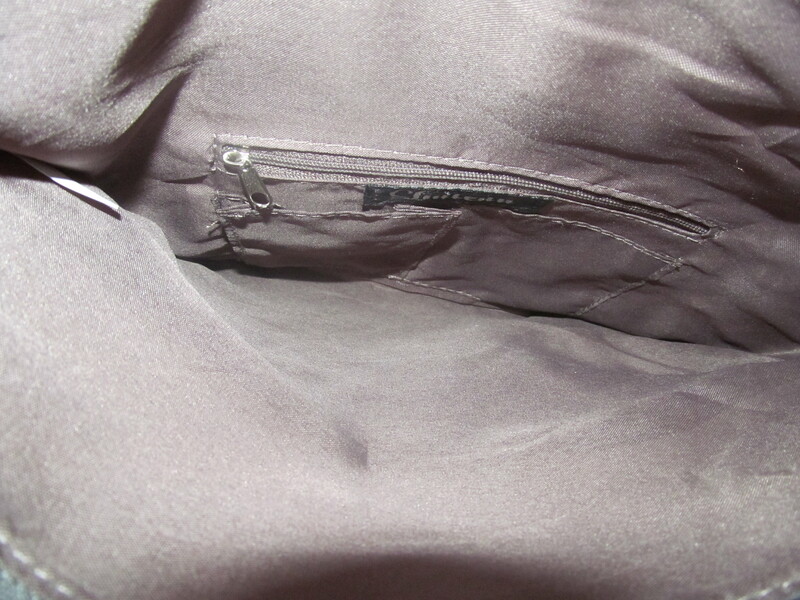 It has a lined interior, with a zipper pocket. 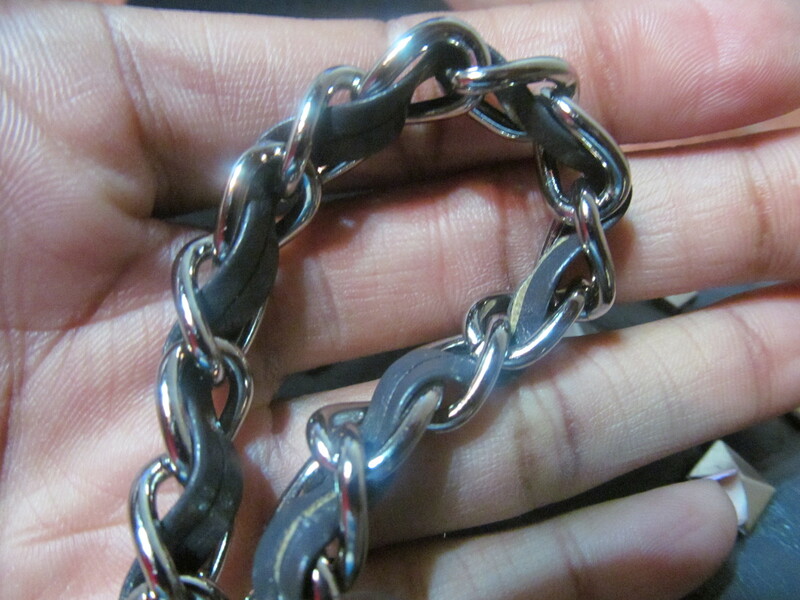 The strap is a silver chain strap with the faux leather woven into it, making it look quite chic. Chanel with an edgy twist in a way. 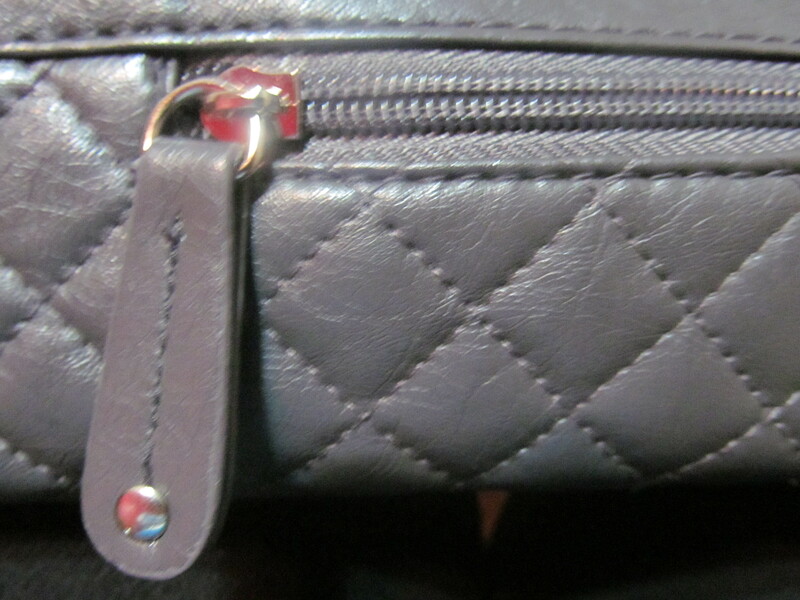 The strap is also shorter than the traditional shoulder strap, which makes it even more appealing to me. 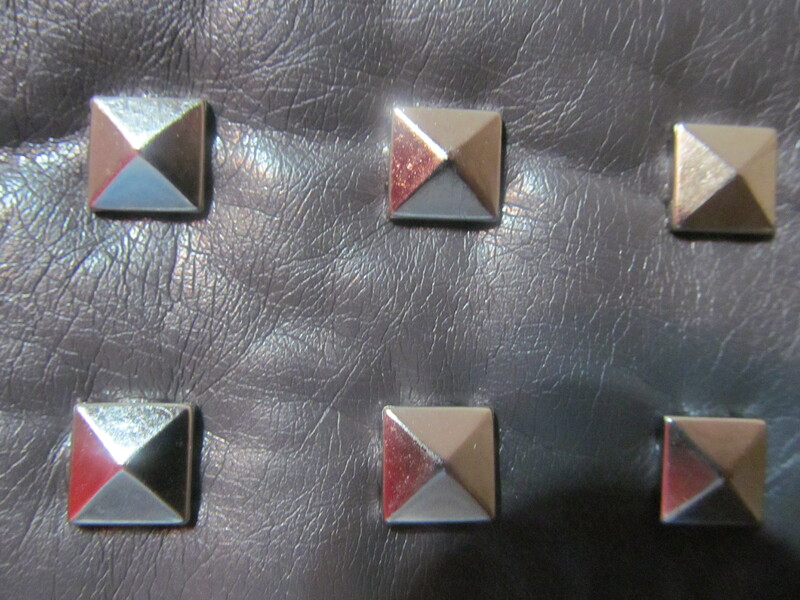 I love little details that add uniqueness to pieces. 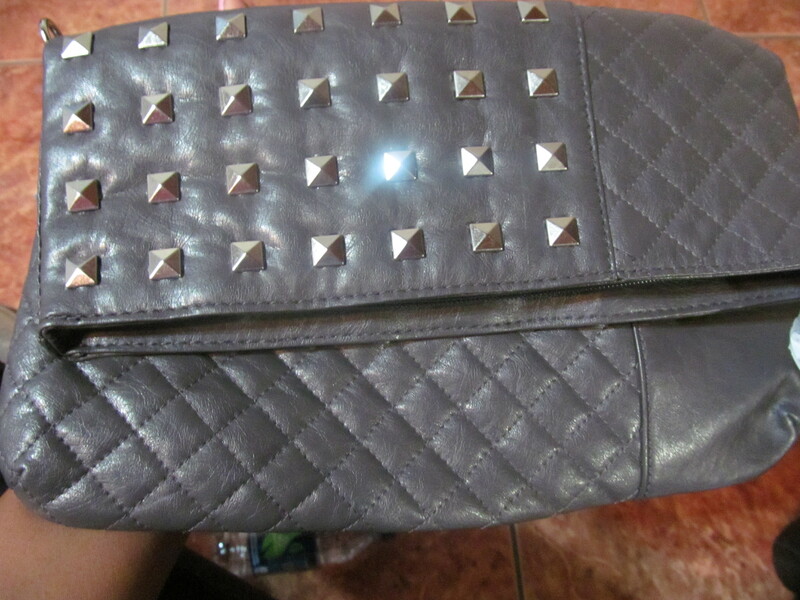 The only thing I wish this purse had was the ability to remove the strap if you wanted to wear it as a clutch. It was around $ 12 or $ 13 at Ross.